The Hotel Alvarado opened in May, 1902. 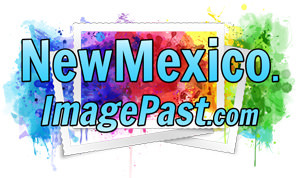 Designed by Charles F. Whittlesey, with the interior designed by Mary Colter, it was the first building in New Mexico designed in the Spanish-Colonial style adopted by the Santa Fe Railroad. The hotel included a gift shop, railroad depot and offices, and a restaurant that could accommodate up to 200 passengers. It was hoped that the the hotel would attract the wealthier classes to stop in Albuquerque on their travels west. For many years the Hotel Alvarado was known for its luxury, but with the decline in railroad travel in the United States, the hotel fell on hard times and was destroyed in 1969. 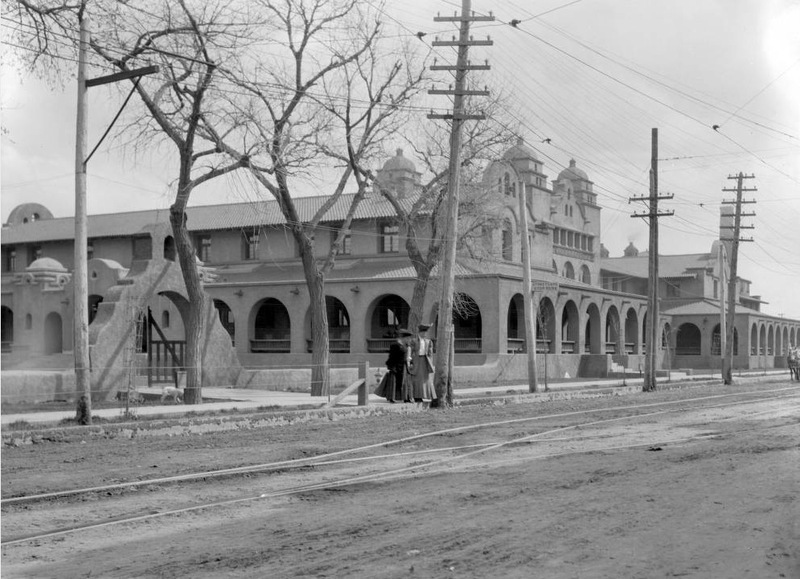 It was eventually replaced by the Alvarado Transportation Center, designed to be reminiscent of the Hotel Alvarado. Photographic print by Harry H. Lake (1860–1952). Two women step down from a brick sidewalk in front of the adobe Hotel Alvarado in Albuquerque, New Mexico. Street car rails line the wide dirt street, and a sign reading: "Street Cars Stop Here" hangs from one of the poles in front of the hotel.